My pal Mick had heard we had been putting the Mackenzie DTX single handed 10ft 7wt through its paces over at Ardaire Springs recently so he decided to have a go there himself. Having fished the lower Suir for years Mick was very familiar with the Mackenzie Spey Rods but had not yet tried any of the single handed rods. 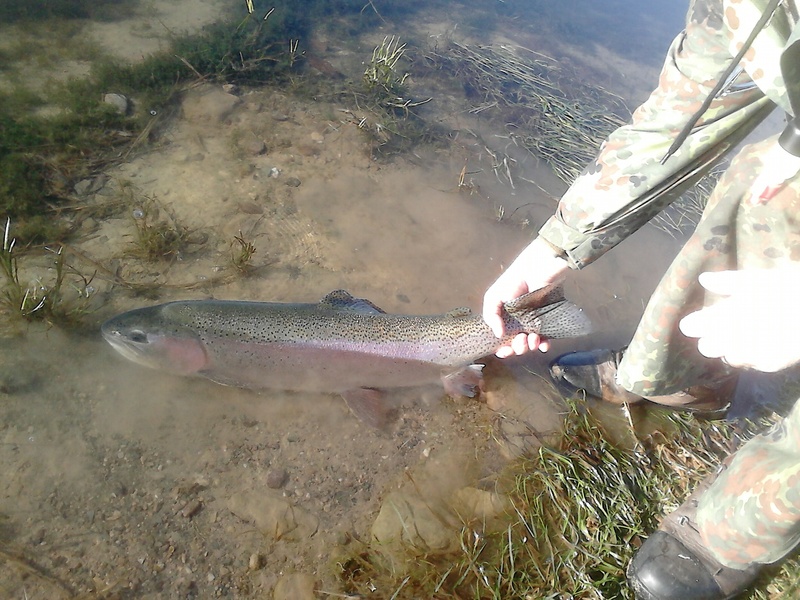 The average trout at Ardaore is a very good size and there are plenty rainbow trout in the 4lb to 6lbs range. 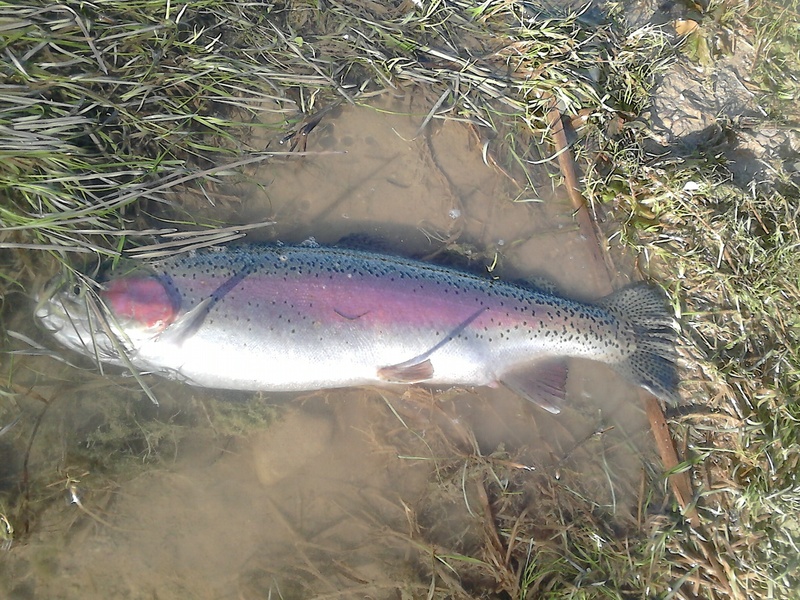 These are broad well finned hard fighting rainbows that can really test your tackle. 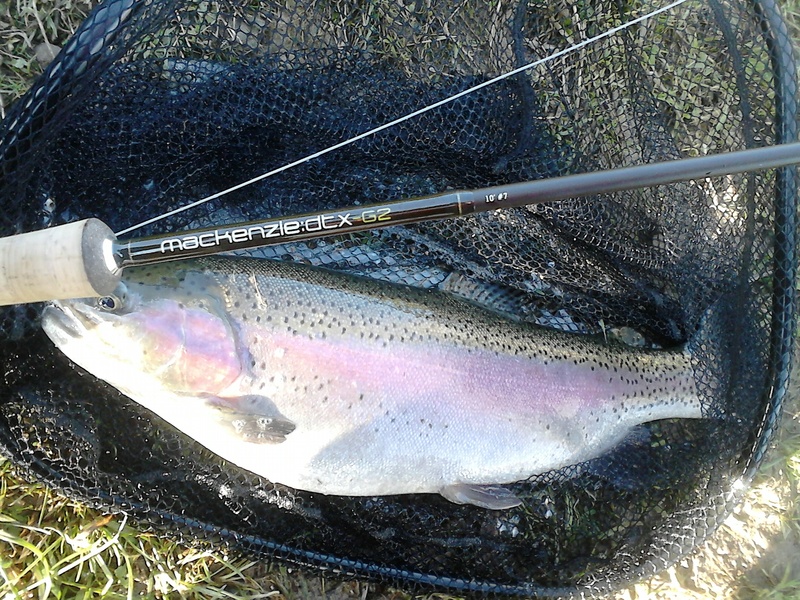 Mick is a very good angler and has a habit of catching decent fish so it came as no surprise to me that he managed one of the even larger rainbows in the fishery although this one just fell short of being a double. After a quick photo the trout was safely released. When I asked Mick to sum up his trial of the rod he used just two words “top class”! 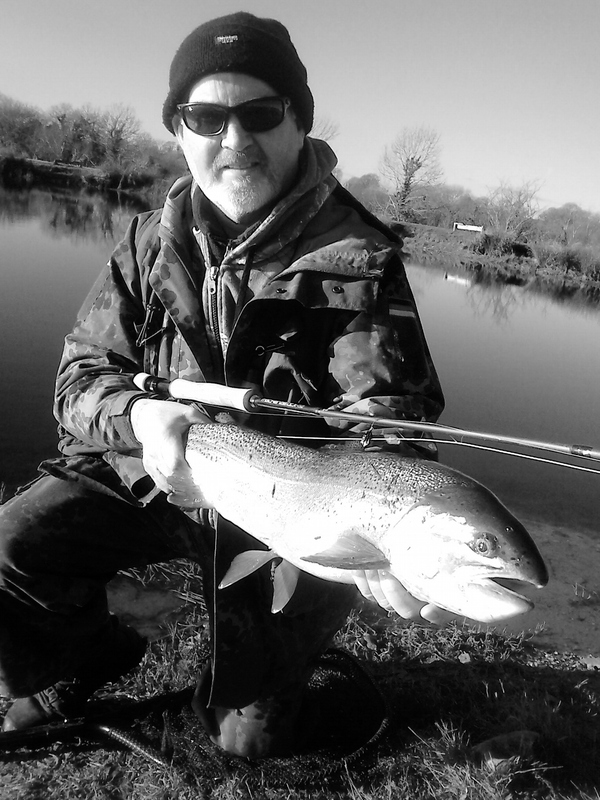 This entry was posted in Uncategorized and tagged 10ft 7wt, ardaire springs, brown trout, buzzer fishing, buzzers, Fish, Fishing, fishing course, fly fishing, fly fishing course, fly fishing ireland, guiding, Ireland, ireland fly fishing, irish flies, irish fly fishing, lake, lakes, lough flies, lures, mackenzie dtx, rainbow, rainbow trout, reservoir, scott mackenzie, stillwater by gamefishingireland. Bookmark the permalink.